We are one of the major producers of hot dip galvanised coils, pre-painted coils, coil. Pre-painted galvanized steel-astm653, trap steel, hot dip, mandarin, tile, roof panel, puf, steel coil slit, corrugated sheet , colour sheet. -WIDTH FROM 762MM TILL 1250MM. Our clients can avail from us Prepainted Galvanized Steel Coils. 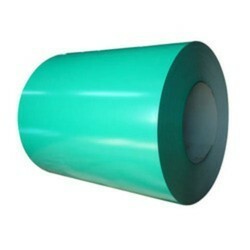 Our company has achieved laurels in providing Pre-Painted Galvanized Steel Coil. The strength of steel, the corrosion resistance of galvanized coating and an aesthetic appeal of paint. Backed by the trusted name and quality of JSW Steel, this new product is sure to add colour to the world of steel users. We also offer customization of designs as per the requirements directed by the clients. Color Coating: Polyester paint of 18 to 22 microns over 7 microns primer and service coat of 7-10 microns at bottom. 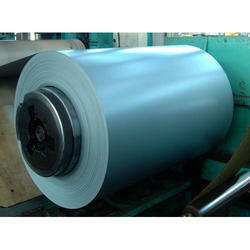 We offer Prepainted Galvanized Steel Coil.